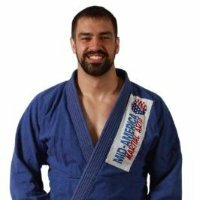 Mid-America Martial Arts is a premier training gym for martial arts fighters in Omaha. However, Aaron and his staff’s expertise extends far beyond that. The gym features camps and ongoing programs for youth as well as women-centered classes throughout the week. The Denman Team is proud to sponsor one of Aaron’s best members, Drew Dober. Aaron also works as an adjunct professor at the University of Nebraska at Omaha in the College of Business Administration.